She can tell that I collect X-Men comics? It’s like she really knows me! A key curiosity of decades old comic characters that are the properties of corporations is that many chefs have been in an ocean of soup, and across that ocean many individual styles have contributed ounces to a whole. Some are inevitably much better than others. The first point that I recall becoming fully cognoscente of the fact that comics don’t just magically appear fully formed for perusal was Sensational She-Hulk #1, cover dated May, 1989. Priced at a buck fifty when everything else was a mere three quarters, I could tell that there was something different right away. The quality of the paper was a bit higher, and John Byrne’s art had a certain polish that was otherwise lacking on that Kroger Grocery shelf. There was certainly something to She-Hulk that was compelling to my fourth grade mind that I wasn’t yet able to put my finger on. So to speak. She-Hulk is a pretty corny character as devised, quite possibly the worst of the “girl counterparts” we first saw with Mary Marvel in the 40′s. Cynics would see them as a quick and easy way to cash in on a trendy brand, and they would be correct. 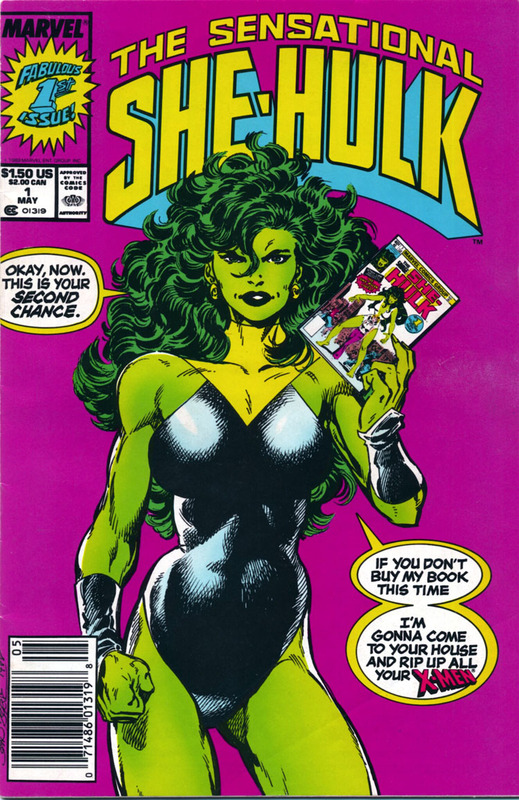 What Byrne did with the book was turn the convention on its ear; She-Hulk -usually just referred to by her civilian name of Jennifer Walters- became a lame character in a comic book who knew she was a lame character in a comic book, constantly interacting with both the writer/artist and readers. The fourth wall was eliminated, and Jen would pull stunts like ripping holes in panels and taking shortcuts through ad pages. the result was sublime, I had never seen anything like it. I was immediately smitten. The fun lasted for 8 months, until one sad day at the grocery when She-Hulk suddenly looked quite different. Byrne, ever an egotist, left the book in a dispute about something or other with editorial. I kept buying it anyway, as well as back issues of the previous Savage She-Hulk series from the 70′s, chasing a dragon that I never recaptured. 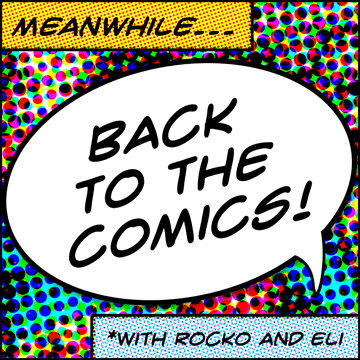 It took awhile, but I eventually learned my lesson- from Byrne on She-Hulk to CC Beck on Captain Marvel to Alan Davis on Captain Britain, it’s the creator that makes the character worth caring about, never the other way around. Every issue of the new Sensational She-Hulk left me colder, but when Byrne got cooking on West Coast Avengers and Namor, I found a new center of gravity on the subject. More often than not, I can tell if I’m going to get any joy from interacting with fellow genre fans by how well they understand this truth that I find to be self evident. Much of it has to do with whether or not one ever gravitated towards obscure characters, since it’s not often the publishers let hacks take a crack at the valuable big name properties. The best talent was always lining up for the popular, top selling titles, the Amazing Spider-man bread. Even so, inevitably there’s going to be a peak and then a bleak period for you, and it’s foolish to pass up the next work of the creators you like in favor of devotion to imaginary people. You can come debate this with me at the message board. You can read more from me at RockoJerome.com.